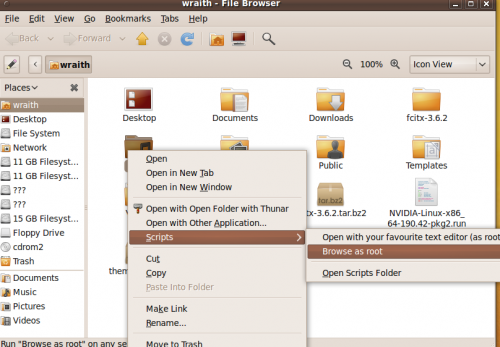 This tutorial shows how to edit files or browse folders as root permission in Ubuntu by adding an option into file/folder right-click menu. 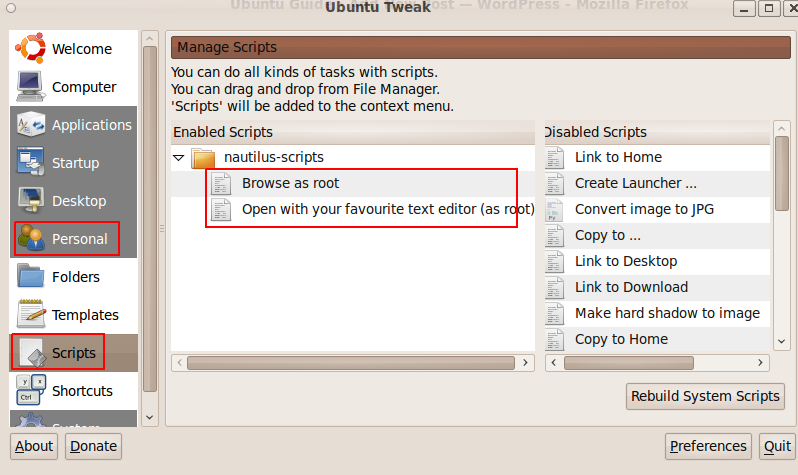 In left side,select Personal->Scripts–>Select “Browse as root” in Disabled Scripts area,drag and drop this into Enabled Scripts area.–>Select “Open with your favourite text editor(as root)” in Disabled Scripts area,drag and drop this into Enabled Scripts area. 1 user responded in " Add “open as root” to File/Folder Right-Click menu in Ubuntu "
How to add the Scripts option on Ubbtu 10.10?